Today, the Body of European Regulators of Electronic Communication (BEREC) published its implementation guidelines for Europe's net neutrality rules. While public protests resulted in several positive changes from a net neutrality perspective, BitTorrent throttling is still allowed. When the European Parliament adopted Europe’s first net neutrality rules late last year, many net neutrality proponents were not happy with the outcome. The rules, which are included in the Telecoms Single Market (TSM) regulation, would still allow targeted throttling of BitTorrent and other traffic, under the guise of network management. 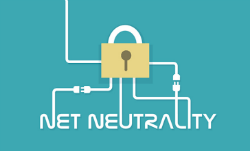 In addition, opponents warned that the rules left the door open for ISPs to charge for fast lanes and restrict or slow down access to parts of the Internet for commercial reasons. To change this, various activist groups launched a “EU Slowdown” campaign through which they got half a million people to respond to a public consultation that was held by BEREC. Today, BEREC presented its final guidelines on the implementation of Europe’s net neutrality rules. Compared to earlier drafts it includes several positive changes for those who value net neutrality. However, not all traffic is necessarily “neutral.” ISPs are still allowed to throttle specific categories for “reasonable” network management purposes, as the second subparagraph of article 3 reads. This means that network management practices, including bandwidth throttling, could possibly target BitTorrent transfers under a broader file-sharing category, or VPNs as encrypted traffic. “The requirement for traffic management measures to be non-discriminatory does not preclude providers of internet access services from implementing, in order to optimize the overall transmission quality, traffic management measures which differentiate between objectively different categories of traffic,” BEREC’s guidelines clarify. In other words, it would still be possible for ISPs to throttle BitTorrent traffic if that would improve the overall “transmission quality.” This is not a far-fetched argument since torrent traffic can be quite demanding on a network. While it’s not expected that BitTorrent or VPN traffic will be targeted any more than it is right now, the option remains open. This will be a welcome decision by networking specialists and ISPs in general, which have argued that selectively targeting congestion is a more sensible approach. Setbacks aside, net neutrality activists have also generally responded positively. Their main goal was to prevent so-called “fast lanes,” which is largely achieved. “The victory here is that Europe is clearly banning ISPs from creating paid fastlanes, as the US did. That was the biggest threat, because ISPs could have actually *profited* by slowing down our Internet, and then charging sites or apps for a fastlane,” Fight For The Future’s Holmes Wilson tells TorrentFreak. “My understanding is that the rules still allow throttling under the guise of traffic management. But thanks to the ban on fastlanes, ISPs won’t have the same incentive to throttle, and regulators could stop ISPs from throttling in cases where it clearly had nothing to do with preventing future congestion,” he adds. The full guidelines and additional background information are available at BEREC’s website.